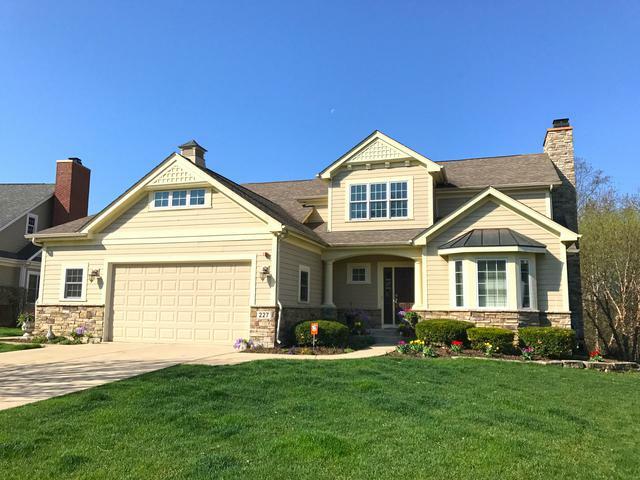 Elegant and spacious home in charming Libertyville neighborhood! Beautiful high-end cabinetry and granite countertops throughout home including kitchen, bathrooms, bar & mudroom. Desirable 1st floor master bedroom suite w/two walk-in closets & luxurious bathroom w/jetted tub, separate steam shower & dual vanity. Open floor plan for easy entertaining btw kitchen, dining and living room. Chef's kitchen features 42" cabinets, large island/breakfast bar, pantry & all stainless steel appliances including a double-oven. Second floor offers over-sized loft area & two bedrooms w/walk-in closets & en suite bathrooms. Finished walkout lower level includes recreation room w/handsomely crafted wet bar, family room w/fireplace & fourth bedroom w/full bathroom. Outside deck & patio. Enjoy close proximity to downtown Libertyville, train station & Independence Grove with its beautiful trails, beach & summer concerts. Maintenance free living w/snow removal & landscaping taken care of for you! Sold by Premier Realty Group, Inc..